Buying a house in Utah County can sometimes mean buying its problems. From barking dogs to black mold to leaky gas tanks, there’s a lot that can go wrong. Here are the four biggest mistakes buyers in Utah County make. Every home buyer should take note to avoid an expensive mistake. As smart as you think you are, you cannot sharpshoot the Utah Real Estate market. You never know when the best time is. Prices move up and down. Nobody knows when the tide will turn, and based on historic data, it always changes. Look at the current Utah County market conditions and determine if this is the right time to jump into the market for you. I have spent several hours writing article and posting graphs relating to the current Utah County Real Estate Market. You also need to keep the interest rates in mind. If you wait for prices to come down by 10%, and interest rates go up by a half a point, your monthly payments will be the same. Historically speaking, this also makes now a good time to buy. The people I would advise not to buy right now are those who don’t plan to stay in their homes for very long. If you only plan to be in a home for two years or less you should probably rent unless you want a rental. If, however, you are ready to make a long-term commitment, now is as good a time as any to buy a home. Getting a great interest rate is an important factor in Buying a Home in Utah County. If you buy in a down market you are fine. I purchased a home in 2008 when the market was falling. I have collected rent every month and made a nice profit. I bought this home for a good deal in 2008. In 2012 it is still a good deal and it has been giving me a 10% return on my investment. This is substantially better than the interest rate the bank is paying. Choosing the Wrong City in Utah County for You! This is one of the biggest mistakes buyers make when buying a home. Let's face it Utah County is a great place to live. We have BYU football here and the best coupons on earth. Buying a house ought to be at least a two-year proposition for you to recoup the costs of the actual move, so you need to be careful you don’t find yourself stuck in the wrong town for two years. Don’t buy a nice house on a not-so-nice block. This will protect your investment as well as ensure you have a good living experience. The block determines value more than the actual home. It is always better to move into the worst house on the nicest street. Make sure you carefully pick a city in Utah County that matches your personality and desires. Finding the right décor is the easiest improvement you can make once you buy a house in Utah County. If the house is decorated in a way you find very appealing, you may find yourself instantly smitten and forget the things you are really looking for in the house. Conversely, a house with unappealing décor may scare you away. Focus on the home instead of the deocrations. Try to think more in terms of the floor plan than the surface stuff. Try to take in the size, the condition and natural light situation. 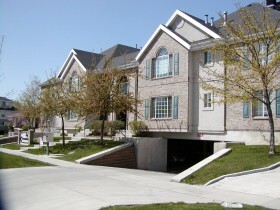 This is another one of the biggest mistakes buyers make when buying a home in Utah County. Here is another one of the biggest mistakes buyers make. Don't buy a fixer-upper if you don't know how to fix it up. A lot of people get themselves into situations like this. They think, “Ah, how hard can it be to fix up a home?” Money pits always cost you more than you think. A small kitchen renovation usually costs between $10,000-$20,000. A standard bathroom renovation can cost you between $3,000-$5,000. Even painting a house costs between $3,000-5,000. If you’ve bought a house that is in a state of total disrepair, you could end up doubling the original sticker price. Be realistic when you go into it about what you can and cannot achieve. If you don't have the skills to fix up a home don't do it. Search Utah County Homes for Sale. Take your time choosing a home. Find one that is right for you.